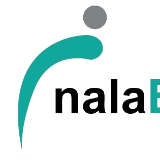 Since its humble establishment in 2013, NALA Employment (NALA) has steadily transformed into one of Singapore's leading manpower recruitment agencies under prudent management. Backed by dedicated and best-organised workforces, NALA offers manpower solutions that meet, if not exceed, clients' expectations within time frame deemed most suitable. NALA believes that employees are the living embodiment of the company's core values. Which is why each NALA staffer is the testament to the company's commitment and holds clients' best interests at heart, leading to the growing clientele who also seek for personnel and professionals that well-reflect the same values.